The Philippines is a rich tropical archipelago of 7,107 islands stretching gracefully over 1800 kilometers between the fifth and twenty-second degrees north of the equator. Strategically positioned east of the Asian mainland, and blessed with abundant natural resources, the country has attracted traders, explorers and adventurers for centuries. The country’s total land area is approximately 300,000 square kilometers (115,800 square miles) and its coastline of more than 34,400 kilometers (21,500 miles) is the fifth longest in the world. Its territorial waters cover 212 million hectares. The Philippines is bounded by three large bodies of water: on the west and north by the South China Sea, on the east by the Philippine Sea and on the south by the Celebes Sea. 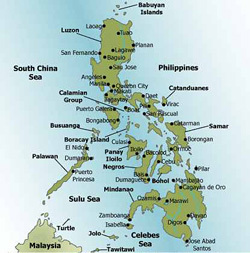 The country’s islands are divided into three main groups: Luzon, Visayas and Mindanao. 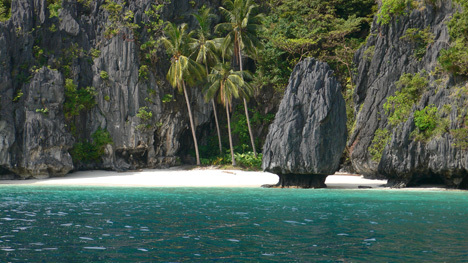 Luzon is the major island to the north where the country’s capital, Manila, is located. 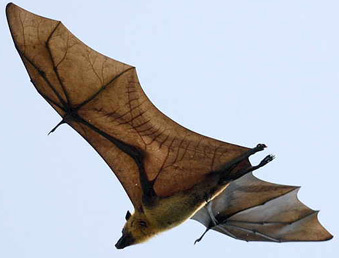 The Visayas is a cluster of islands in the middle of the archipelago. Mindanao is the southernmost island group. As it is located in the Pacific ring of fire – the most volcanic region on Earth – the Philippines has more than 100 seismic faults spanning both Luzon and Mindanao, as well as 22 active volcanoes and 27 potentially active volcanoes. Of these volcanoes, Mount Mayon in Albay, with its nearly perfect cone, is the most active. Taal Volcano in Batangas is considered the world’s smallest volcano. The Philippines ranks 23rd among the most plant species-rich countries of the world, hosting 13,500 plant species, or 5 per cent of the world total. Almost one-fourth of all these plant species are endemic to the country. The Philippines also has one of the richest collections of corals in the world, with 488 out of 500 species found in the Apo Reef in Mindoro and the Tubbataha Reef in the Sulu Sea. Due to its proximity to the equator, the Philippines enjoys tropical climate, with a relatively constant temperature yearround. The country has two main seasons: the dry (from December to May) and the rainy (from June to November).